Click the link below to see the schedule for your students' class. 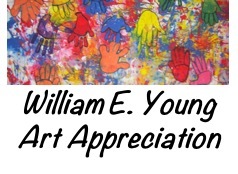 Please contact Traci Dosen, Young Art Appreciation Coordinator, to sign up! She can be reached at williamyoungartappreciation@gmail.com.